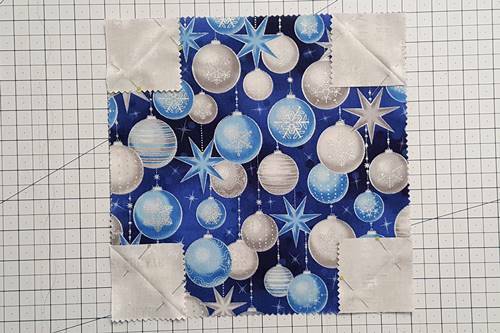 The snowball quilt block is so easy to make! It's not just for Christmas. 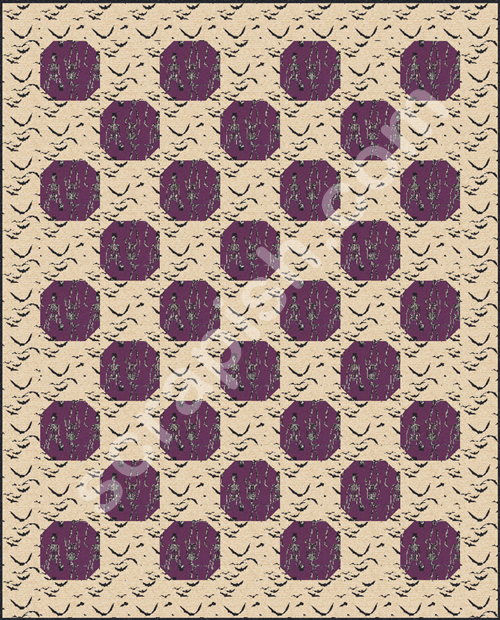 Try Halloween or Thanksgiving fabrics. Or ethic and geometric prints for a modern look. 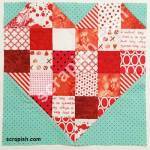 Any size square can be used to make this easy quilt block. 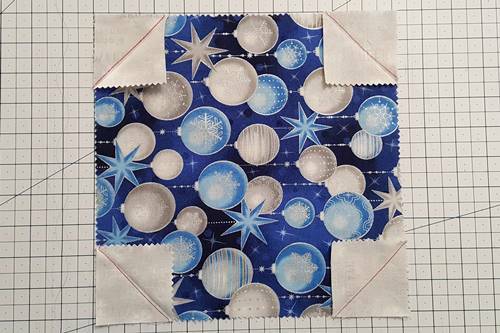 For the large square, determine the finished size block you want, add a 1/2 and cut. For the small squares, see the chart below for suggested cut sizes. Experiment a little! The instructions below uses a 10 inch square. It's a perfect time to use any squares left over from layer cakes. 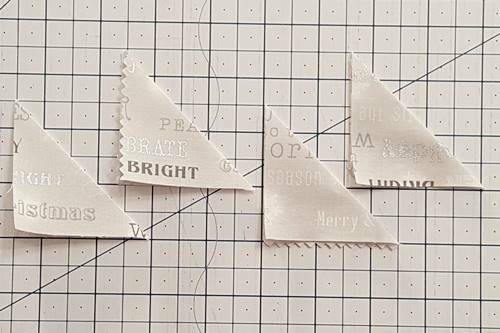 If you want to use squares in other sizes, cut width-of-fabric strips 1/2 inch larger (Column 2) than your block's finished size (Column 1) or use scraps. 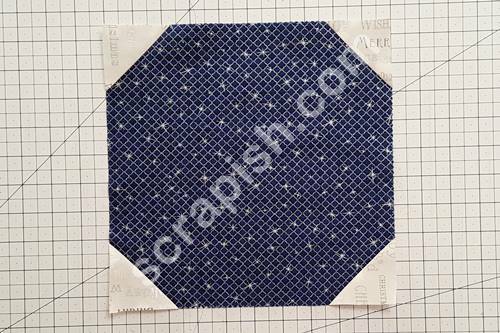 For example, if you want an 8 inch block, cut 1 (8 1/2 inch) WOF strip; sub-cut 4 (8 1/2) squares. Select and gather your pre-cut 10 inch squares. 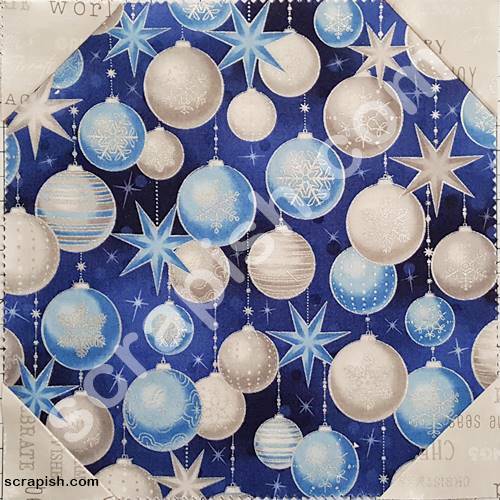 Cut 4 (2 1/2 inch) squares for each snowball quilt block you want to make. Press each small inch square in half diagonally. 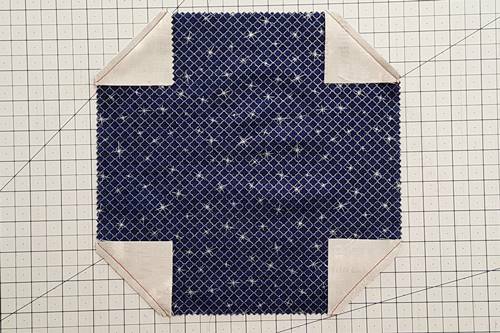 Place a small square on each corner of the 10 inch square. Starting in the top left corner, the pressed diagonal line of each small square should be placed so that it is faced as follows: top left (/), top right (\), bottom right (/) and bottom left (\). 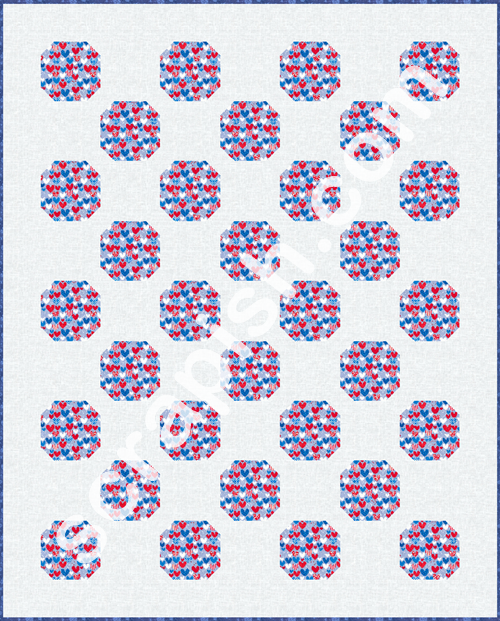 Pin each small square to the larger square, aligning raw edges with large square. stitching the seam one or two thread widths away from the fold line on the side of the fabric that is to be cut away. This helps to ensure that the fabric triangle that will remain covers the space left by that which is to be cut away. 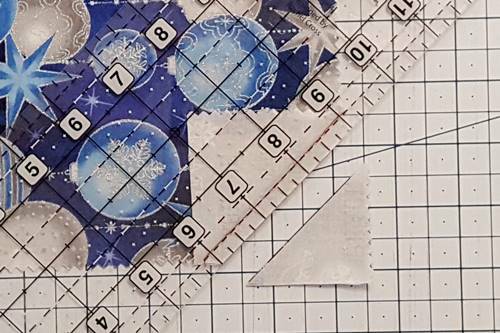 Place the 1/4 inch measurement line of a straight edge quilting ruler along the seam of each corner square and cut away the top tips of the fabric. Use a hot iron to press (not pictured) each corner triangle right side up, pressing its seam toward the triangles. 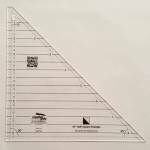 Use a quilting ruler to square of each corner triangle with the 10 inch square. Your snowball quilt block should now be complete! 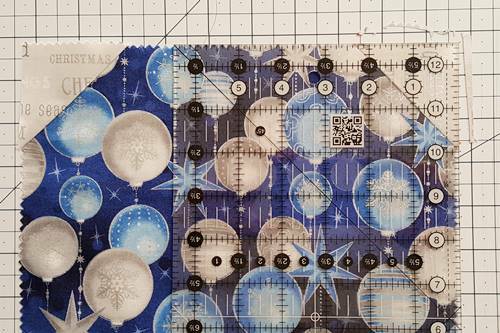 An alternative way to cut the corners on the snowball quilt block is to use a tool designed specifically for this purpose. There are a number of these tools on the market. 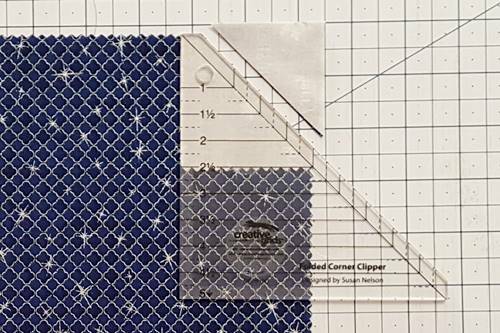 The one I use is called the Folded Corner Clipper by Creative Grids(R). The seam allowance is included in the design of the ruler. Align the top blunt edge of the folded corner clipper with the top edge of the 10 inch square and small square. The left side of the small square should align with the left straight edge of the tool. The 45 degree diagonal line on the tool should align diagonally down the middle of the small square. The bottom edge of the small square should align with the measurement line of the tool that is the same as its width (in this case 2 1/2 inches). 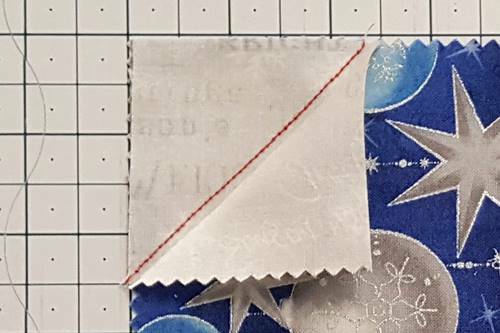 Using a rotary cutter, cut along the diagonal edge of the tool (clipping off the corner triangles and leaving enough fabric to stitch a 1/4 inch seam). Use the tool to cut off the 4 corners. Then, stitch a 1/4 inch seam on all 4 corners. Using the Folded Corner Clipper tool requires less work. You do not have to iron small squares or worry about the position of the fold. Simply position the tool, clip and stitch! 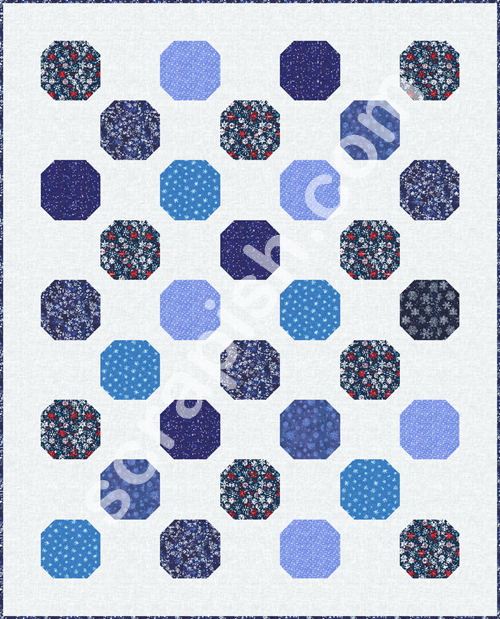 The snowball quilt block and an alternate plain block make a great quilt pattern. 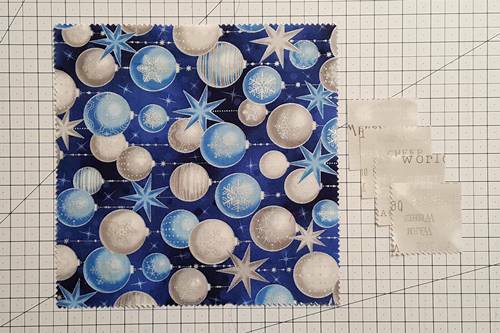 Change the prints to any holiday to change the look and feel of the quilt. Check out our free easy quilt patterns!